Christmas Spirit and New Beginnings! Oh dear! I have not done well at blogging recently…with almost a month between my two recent posts! But I am feeling really positive and excited for the future at the moment, what with all the Christmas spirit in the air and so many new opportunities and beginnings springing up, not only for me but my friends too! I am sitting writing this in my new apartment! I moved last weekend and it is finally starting to feel homely as the boxes and suitcases slowly disappear (and I get an internet connection again!) I consider myself a quite positive and chilled person, but I definitely found this move (my third in Milan) rather more stressful than I had imagined. Not the actual move (for which I am extremely thankful to my friend for all her help!) but for all the other admin and organisational stuff! However, It is the first time I have taken an unfurnished flat and I am so excited to inject my style and personality – it is a complete blank canvas! I have longed for the opportunity to do this for a long time and finally I get to and I couldn’t be happier! My bank balance definitely could though! This move has given me a renewed sense of admiration for my Dad and all those weekends he spent putting together beds and tables and cabinets and garden furniture! You know…when you hear those dreaded words…’Anna can you come and hold something for me for five minutes? I need your help.’ Oh how I would moan and try to excuse myself only to met by those words every child hates to hear..’It is good for you’. To which you think how can helping fix the bannister, or mend the broken chair possibly be good for me? Just like when children think…’Why do I need to learn another language, everyone speaks English.’ or ‘Sir, why do we have to learn maths equations…I am never going to need it.’ The truth is, it really was good for me! It taught me to be precise and read the instructions…to make sure I have everything I need before I start and that if you get stuck walk away, take a break and come back to the task again…because nine times out of ten, it will seem a lot easier and you won’t end up throwing things across the room in anger! 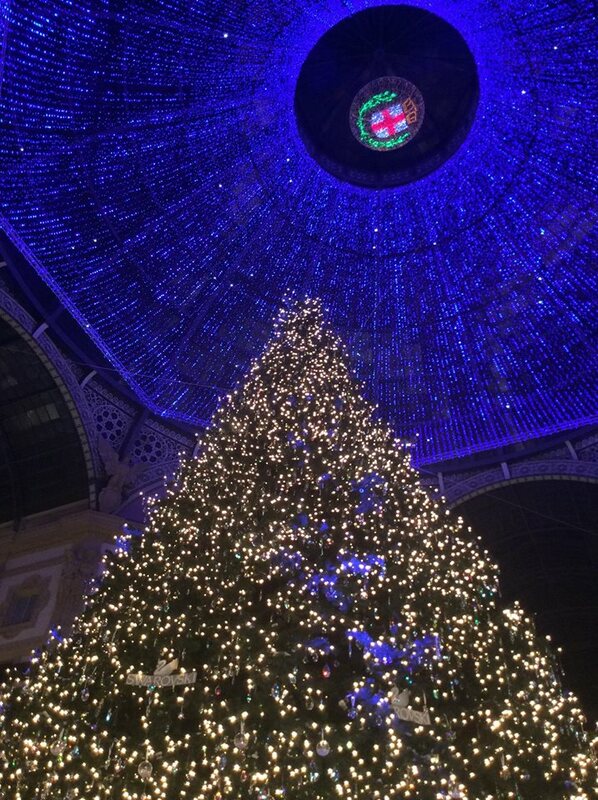 This year Milan is looking rather beautiful and festive, with some absolutely stunning Christmas lights, pictures of which will follow in another post. Every area and main street has its own theme and design and is definitely getting me in the holiday mood! This weekend is Sant’Ambrogio, a holiday which takes place every year on the 7th of December in honour of Milans Patron Saint, followed by The Immaculate Conception on the 8th, meaning a four day weekend! 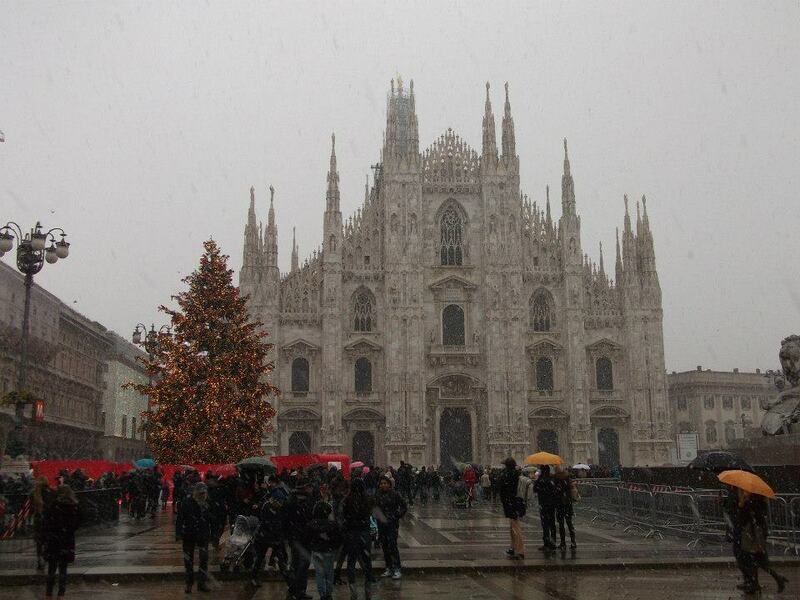 Since living in Milan I have always seen this weekend as the real beginning of the count down to Christmas. On the same day the ‘Oh Bej! Oh Bej!’ Market starts, which is a lively and fun Christmas market, with stalls running from the piazza Duomo all the way down Via Dante to the streets surrounding the castle! I remember the first year I lived in Milan, a friend and I were exploring the stalls near the castle when it started to snow and in our child-like excitement at the prospect, we ran all the way to the Cathedral as we wanted to see it with the snow falling gently around it. 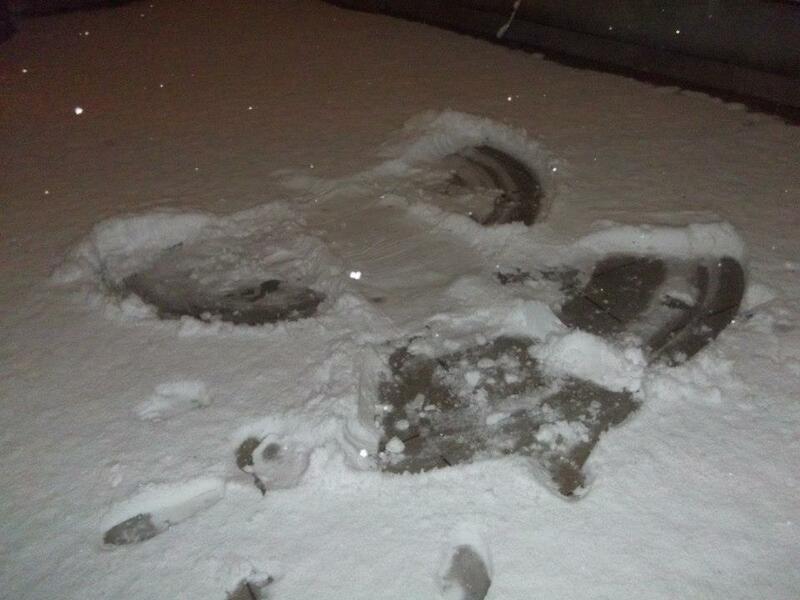 Later that day the snow came heavy and we made snow angels on the terrace of my first apartment here! I have lots of posts planned for the upcoming months and hope to get back to posting regularly. I hope you are all enjoying the beginning of the festive season and keeping warm and cosy! If you aren’t, stick on some Christmas songs, heat up some mulled wine and have a mince pie or a slice of cake! What do you have planned for the season? Are you visiting any Christmas markets or going away anywhere? Travelling home to be with your family or jetting of to a warmer climate? I would love to hear! 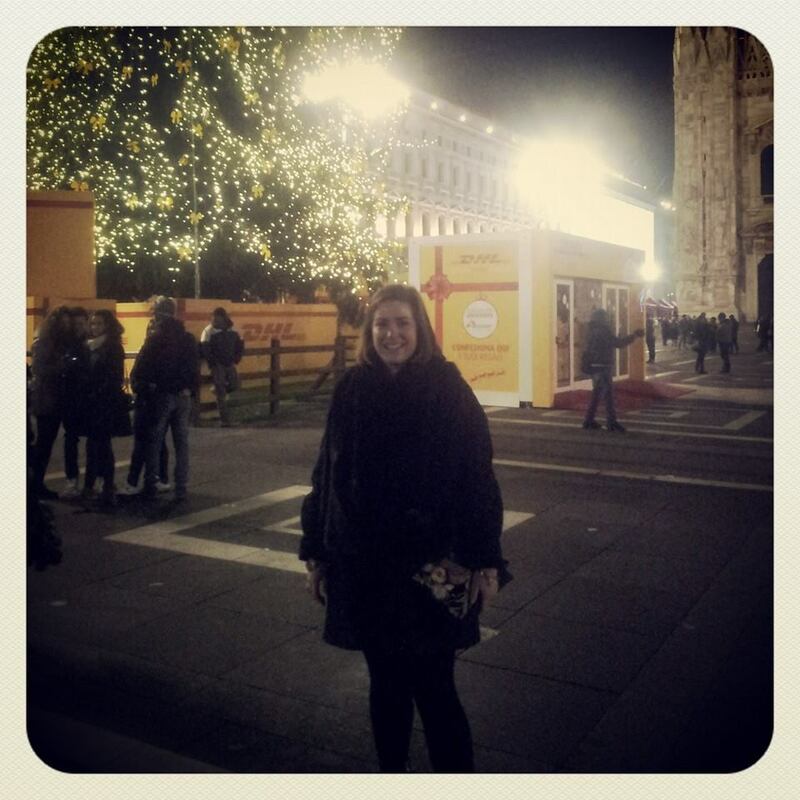 At the weekend I went to London to visit some friends, two of whom used to live in Milan, but left about a year ago! It is always super fun to catch up with friends and as I can’t make it back for Anna’s birthday in October I took her to an early birthday Brunch on Sunday, at the Bourne and Hollingsworth Buildings on Northampton Road. 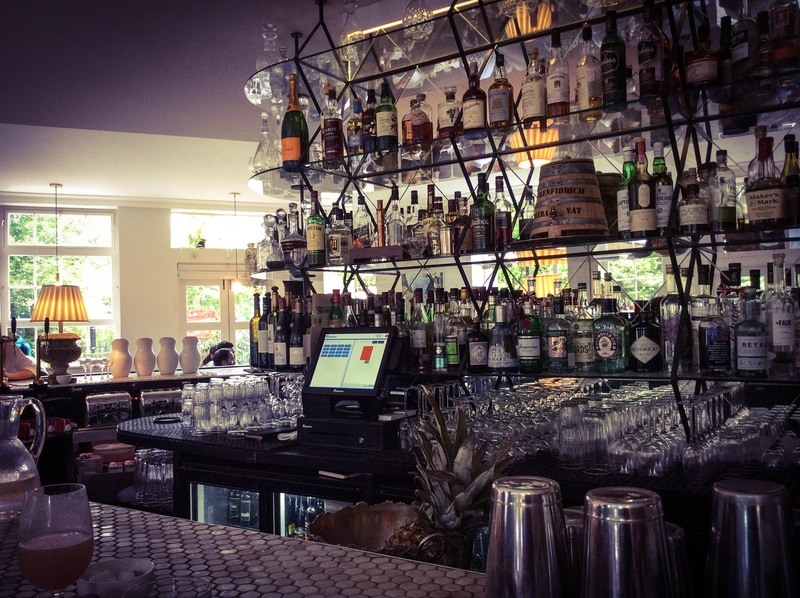 Both of us enjoy getting a little dressed up at the weekend and heading out for a lazy brunch, or wine-fuelled lunch and so I wanted to try and find a really cute place which was new to us both! 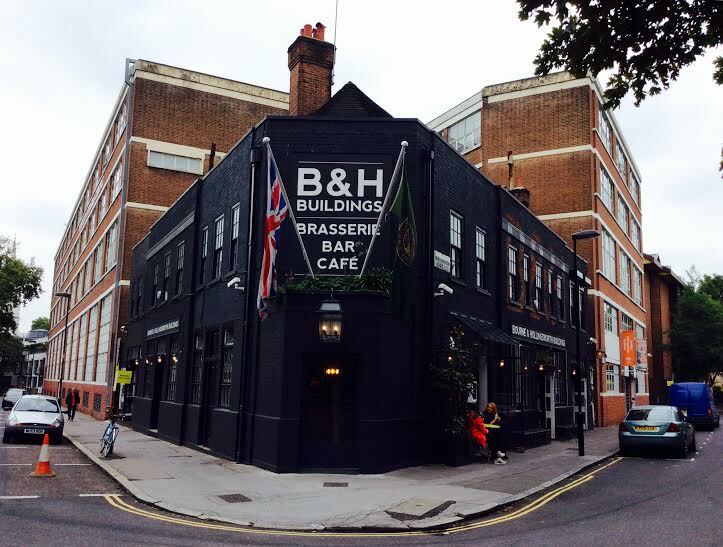 I researched cool places for brunch in London and discovered the B & H Buildings! 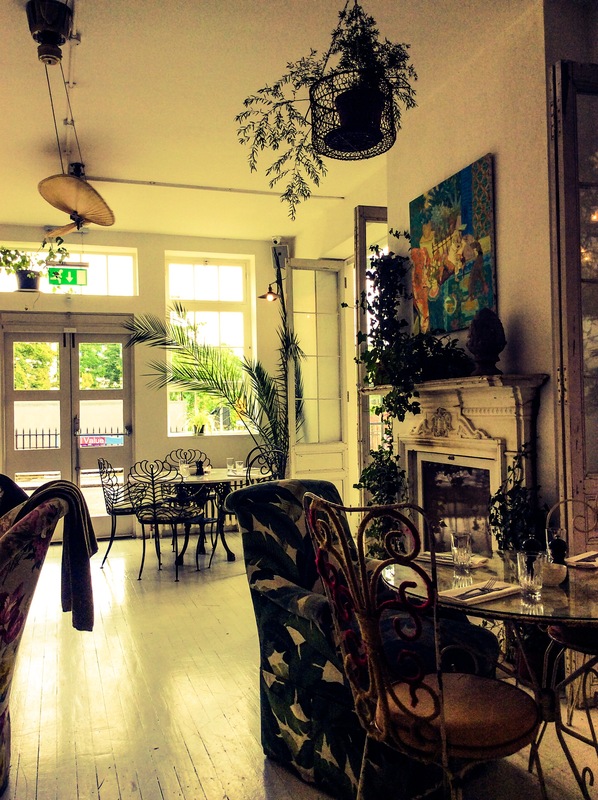 The space is really lovely and the decor is amazing! 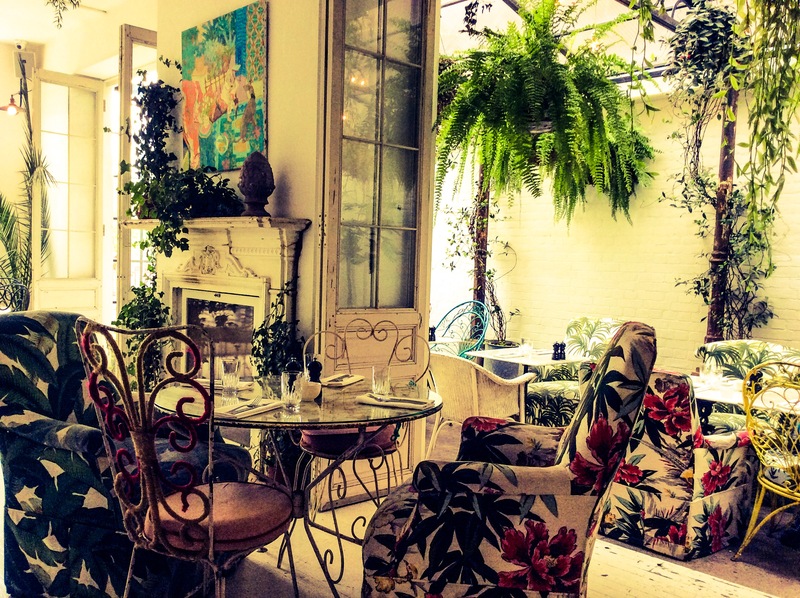 There are lots of different patterns and textures on the furnishings and the place is filled with plants and flowers! 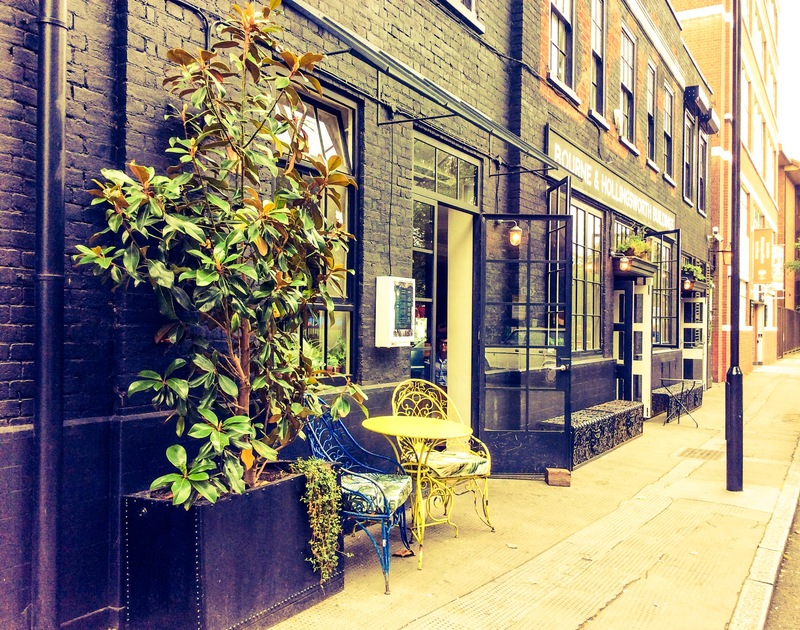 It has a really cheery atmosphere and all the staff were super friendly and helpful! 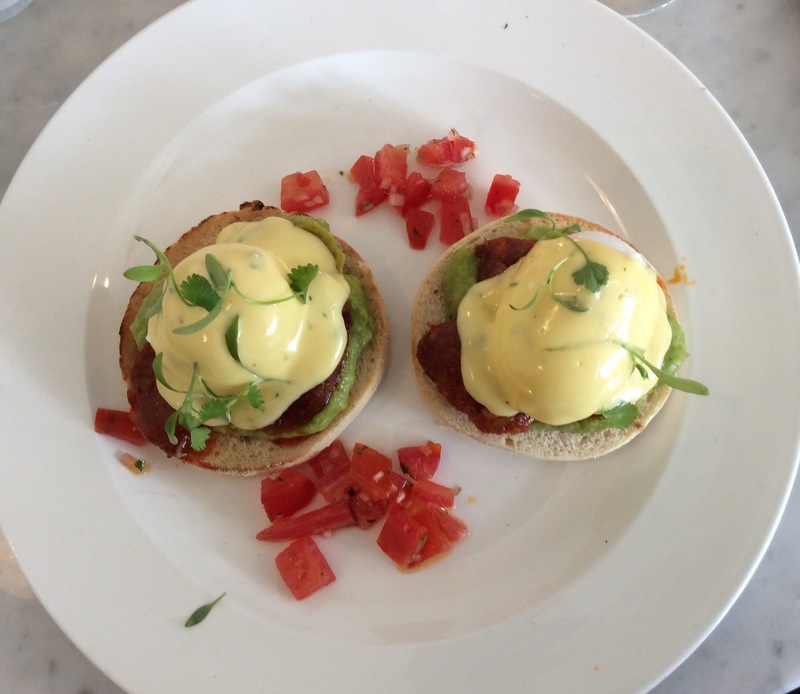 We both opted for the poached eggs on a muffin with avocado, chorizo and pico de gallo (delicious!) and we had bottomless (yes that’s right…bottomless) bellinis! They kept coming round with a jug of bellini and filling up our glasses! It was fabulous! So much so, we had to move to the bar for a coffee before we left! A little merry we left ready to go on with our day and headed over to see the State Rooms at Buckingham Palace! Post to come on this soon! Are you a brunch or lunch type of person? 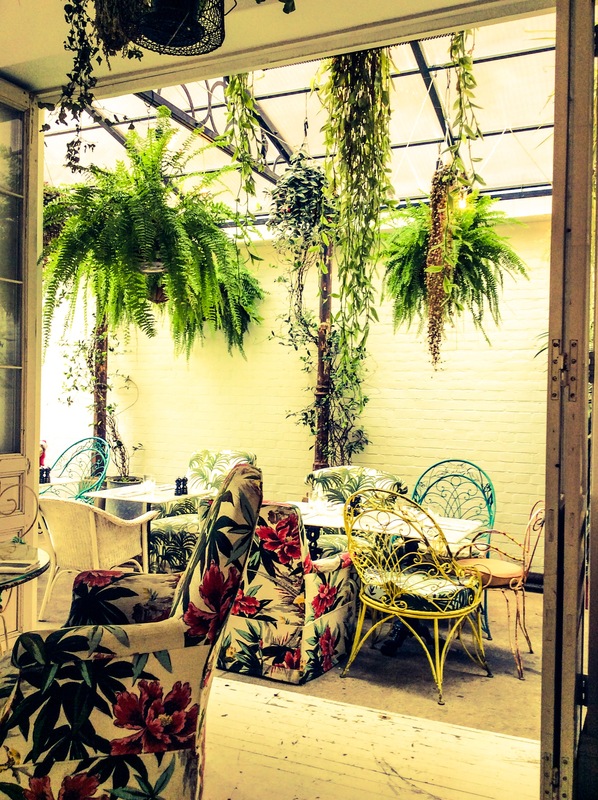 Where is your favourite place to eat? Favourite type of food? You can follow me on Facebook too!